I've slowly come around to use cases, but they have to be just right. Now, how about screen protectors? Today's attempt at protecting my devices comes to us from Peel. 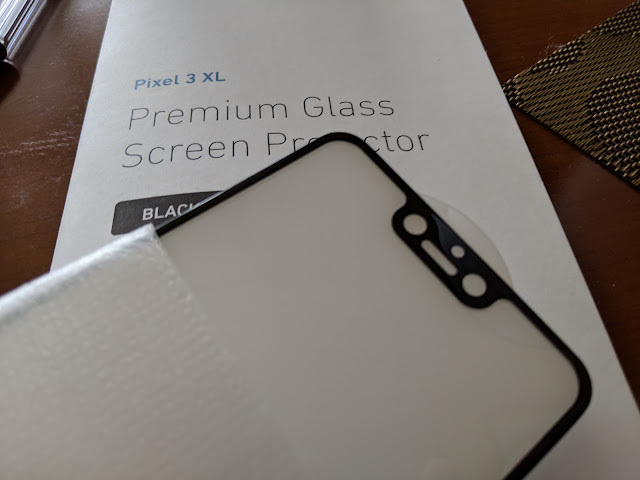 Last year I reviewed their protector for the Pixel 2... let's see how the Pixel 3 variant does. Let's see what $39CAD will buy you. Now, the attraction for the glass is that it's stronger, tougher than typical plastic. Also, because of the rigid materials, it's a little easier to place down straight on the device. A perfectionist like me hates reapplying. So, it comes out of its little sleeve with all you need to install. 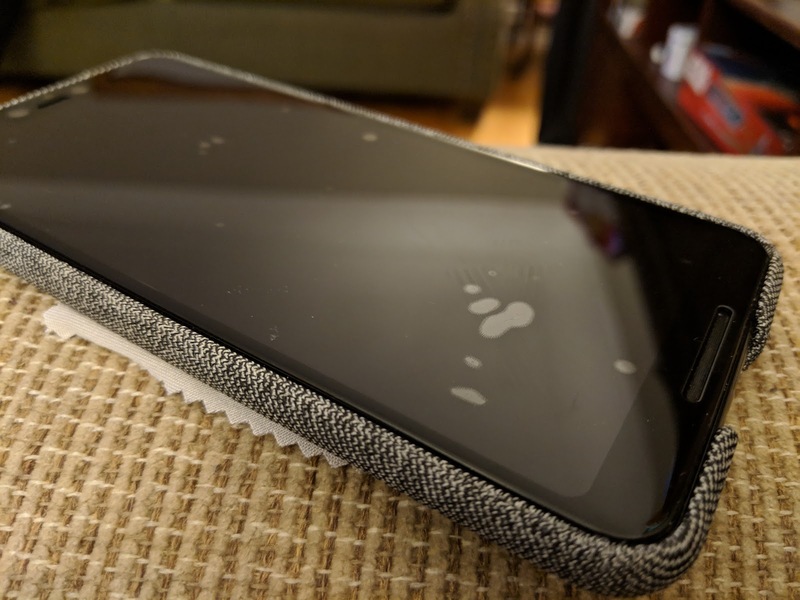 It's got the glass and some screen cleaning solution, little microfibre and even a blue dust sticky-picker-upper. You go through and you clean the hell out of your phone making sure there's no dust on it. When you're ready you peel the sticker off the back of the glass and line it up. But wait... before you do that use that blue sticky thing to look for any bits of dust. Then, line up the glass with your sensors and speakers and let it down. If you need to, before it's really ON, you can get a fingernail in the corner and lift it to replace. Especially, if you missed a piece of dust. Now, I'm used to looking at a plastic screen that has some bubbles on it. Trying to press on them to slide them out the side doesn't really work so well. Some it has helped with, but it usually allowed them to split up but come back. They didn't really dissipate over time either. A little. The OCD in me really flares up looking at it when it's off, but you don't really see it when it's on, so that's good. Much better than the 'oily blobs' you would see on the previous year's model. No matter much I tried I never got all the dust flecks. It was painful. And I really was meticulous to get it perfectly lined up with the sensors and edges. Still didn't feel perfect ... but I'm blaming me. When on, there's a feeling as though there's a bit of a lens just over the screen ... sort of a mini magnification feeling that you only notice at the edges of it. Touching through the glass works just as it normally would, however, I found dragging down from the top to be a little problematic where it wouldn't always register the touch at the top. Another point was that it seemed, as best as I could align it, somehow the outline was still covering some light sensor. It was noticeable in the fact that when you'd turn the display off, the 'always on' clock wouldn't show. Something it does if it feels it's like in a pocket or purse. Same for when I would call my voicemail. Dial in, and then when I would go to put in my pin code the display would go off as if I had it to my ear. So, something is blocking it. I've tried to remove it and reposition it a few times... never getting it. I was able to get 2 of them and even the second one, where I was really meticulous in lining everything up with guides etc... never got it. Maybe it's just me. But for my mind, there's something at issue with this - maybe it was just me.